After the runaway success of Visionnaire, Lancôme is all set to launch a new innovation anchored around rose stem cells this month. Called Absolue L’Extrait (€320 – approximately Rs. 22,000 – for 50ml), each jar of the anti-ageing cream will contain two million rose stem cells that are believed to be capable of repairing, replenishing, enhancing skin’s natural barrier functions, protecting it against environmental aggressors (such as UV rays and pollution) and boosting regeneration. 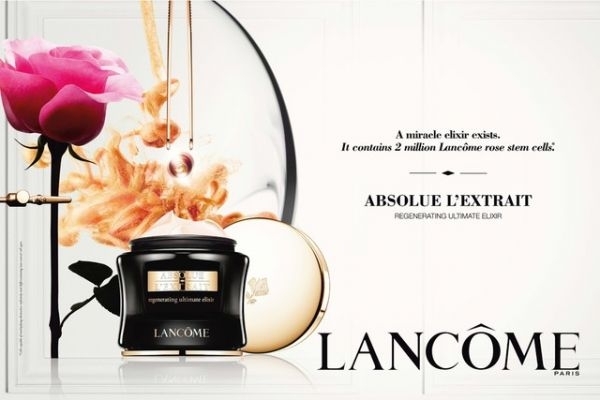 Dubbed as a “miracle cream” by the brand, Absolue L’Extrait is anchored around the the Lancôme Rose, which has been a source of inspiration for researchers since 1973. The fuchsia-coloured rose is only grown to order by its creator in the French region of the Châteaux de la Loire and annual production is limited to a few thousand plants. In keeping with its luxe positioning, the anti-ageing formula is delivered within a pearly pink cream-elixir that is scented with notes of rose, bergamot, pink peppercorns, jasmine, freesia, woods and musk. The packaging is crafted from black smoked glass and gold-coloured accents that seem almost jewel-like. It comes with a “massage petal” applicator for massaging the cream into your skin in order to maximise the product’s regenerative powers. The promise of eternal youth all wrapped up in a fragrant jewel… sounds delectable. Do you think it will work against time?